Photographs of the Hartwell Tavern Battle Reenactment held on Patriots' Day, 2003. This ceremony commemorates the eight British Regulars who gave their lives at the Hartwell Tavern. 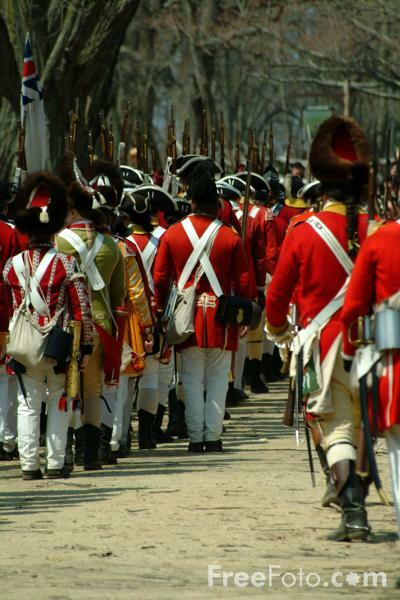 The British Regulars where ambushed by the Woburn militia and lost eight dead. VIEW: More images from the category The Battle Road, Massachusetts, USA or taken at the same location or around the same time .